Your hardwood floors greatly contribute to the overall look and value of your home. Instead of spending a fortune on brand new, custom hardwood floors, consider simply restoring the existing floor. Use a professional wood floor refinishing service from Fabulous Floors Baltimore. Our friendly team of hardwood floor refinishing experts will make your floors look as good as new without replacing them. 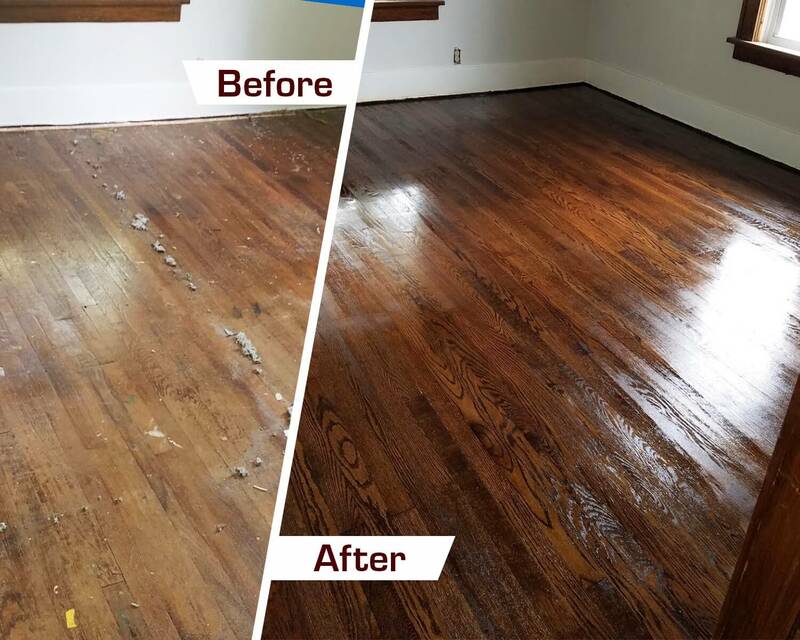 When it comes to performing value-adding services in your home, our hardwood floor refinishing service in Baltimore, MD is sure to work for you. We have a lot of pride in our highly trained professional floor technicians. We will treat your home with the same care as if we were performing it in our homes. Call us today to get your free, no-obligation quote. Let us help bring back the beauty of your hardwood floors! Our hardwood floor refinishing process in Baltimore, MD has been refined to a simple, yet effective procedure. Any scratches, nicks, or dents that are present are gently sanded away after our sanding process is complete. Our sanding process is virtually dust-free and we even make sure that we sand by hand those hard to reach spots too. After we’ve smoothed the rough or scratched areas of your floors, we’ll apply the stain color. We have plenty of stain color options to fit your style, whether you’re going for the same look to match your current decor or if you’re interested in switching it up! Finally, after the stain has dried, our technicians will apply a thin coat of polyurethane to your hardwood floors to seal in that stain color and also protect your floors against potential damage in the future. This also adds an extra gleam to your hardwood floors that you won’t find anywhere else. Fabulous Floors Baltimore is Green! We live in the Baltimore area too and pledge to keep our processes and services safe for the environment, as well as your home and family. Our process is Greenguard certified, meaning that they have passed very strict health and environmental standards. We are proud that our services can almost always be completed in just 1-2 short days, so we can be out of your home and out of your busy schedule. Just another reason that you should choose Fabulous Floors Baltimore!